"You say 'Gojira', I say 'Godzilla' ..."
I probably shouldn’t speak for everyone, but who doesn’t love a good Godzilla flick? 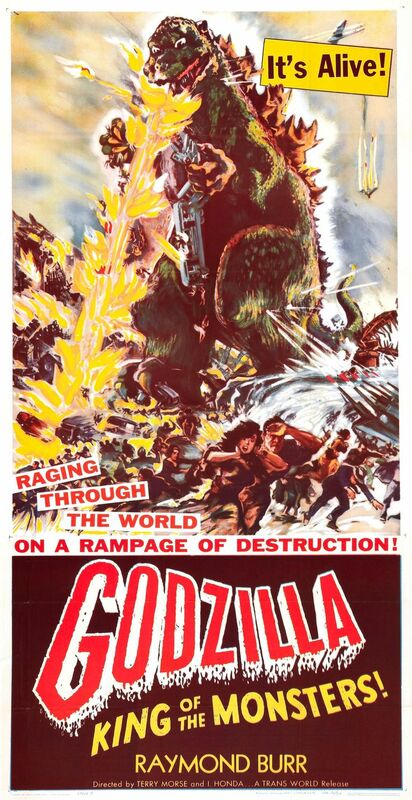 At least when we were kids, these movies were utterly enjoyable and Godzilla himself the original anti-hero. Just as there is only one King Kong, there is only one Godzilla. 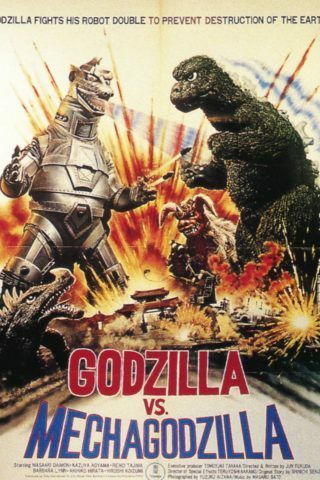 Oh sure, there have been dozens of spin-offs and multiple remakes, but Godzilla remains. If anything, all the remakes and sequels have taught us to be very careful when we start messing about with a true original. 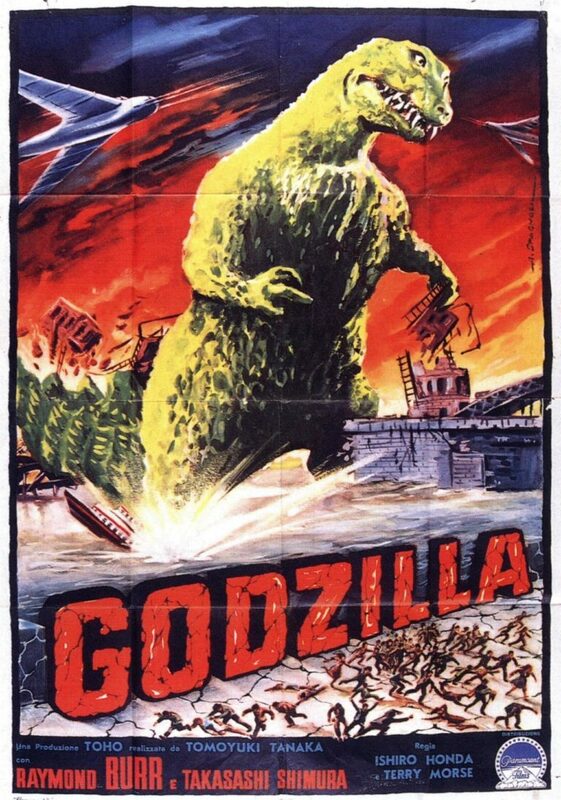 Godzilla, or Gojira as the movie and the monster were both originally named in their native Japan, set the standard for all the kaiju to come. 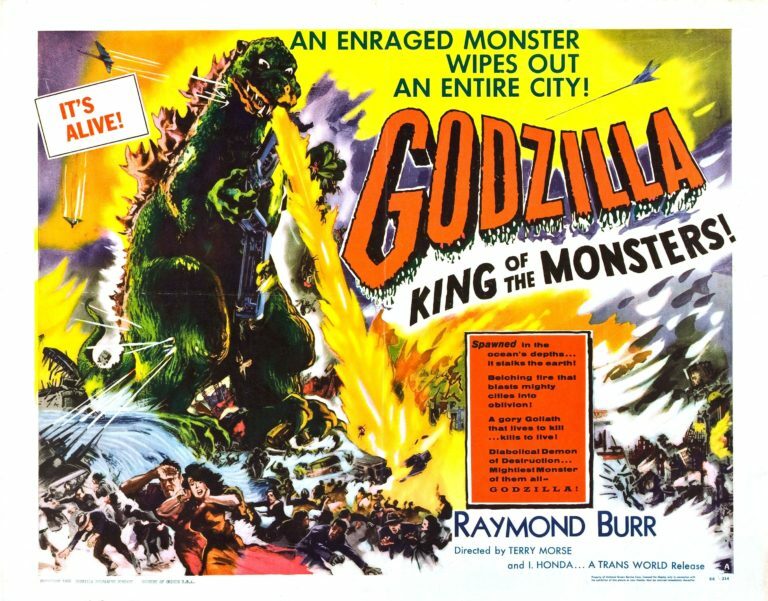 Clearly inspired by King Kong himself, as well as The Beast from 20,000 Fathoms (an American made giant sea creature movie), Godzilla was produced by the Toho Company in 1954 and directed by Ishiro Honda. It stars some guy in a big rubber lizard suit and a few of his closest friends. This is real, the story of the century! This movie has aspects of a melodrama than any kaiju that followed. There’s a love triangle at the center of the film and much angst about the appropriate use of power. 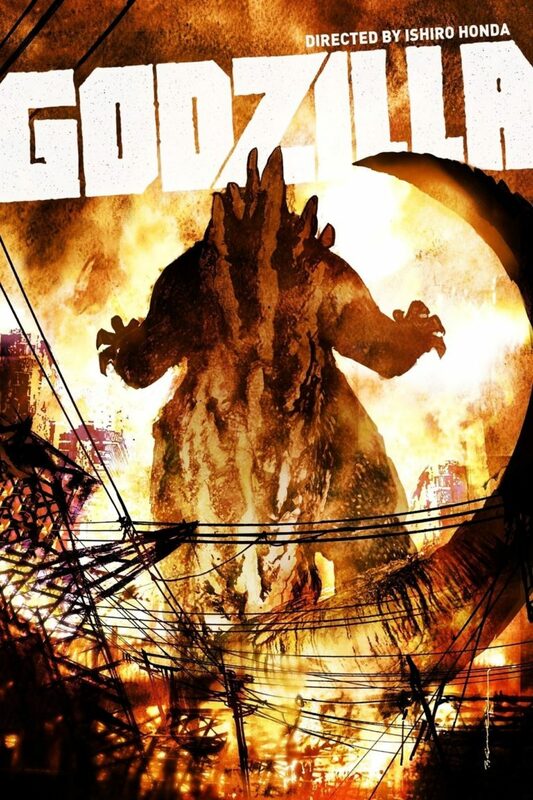 At its heart, Godzilla is an indictment on the development of nuclear weapons and their destructive potential, both long-term and short-term. Godzilla, the movie, wears this on its sleeve. Considering the fact it was made less than a decade after the United States dropped a pair of nuclear bombs on Japan, this is understandable and hardly a surprise. After acknowledging the plot’s underlying drama aspects, it’s only fair to mention the cast (other than the guy in the rubber suit). Akira Takarada plays Hideto Ogata, one of our heroes. Momoko Kôchi is Emiko Yamane, the only significant female character and everybody’s love interest. Akihiko Hirata is the third leg of the triangle, a scientist, and our other (somewhat reluctant) hero, Daisuke Serizawa-hakase. Gojira was Akira Takarada’s first significant film role; he would go on to a lengthy career, including about half a dozen Godzilla movies, though never as the same character twice. We’re not counting re-edits or colorizations of the 1954 original. Momoko Kôchi appeared in a few films before Gojira and she would reprise her role as Emiko 40 years later in Godzilla vs. Destroyah (her last movie). The remaining cast includes Takashi Shimura as Emiko’s father, Kyohei Yamane-hakase, aka the voice of wisdom. All the actors play their parts with typical Japanese stoicism, though a few are allowed the occasional emotional reaction or outburst. Shimura is not just the voice of wisdom, he is the glare of judgement and the grimace of despair as well. I'm saying a prayer, George. A prayer for the whole world! So now you’re probably wondering about Raymond Burr. 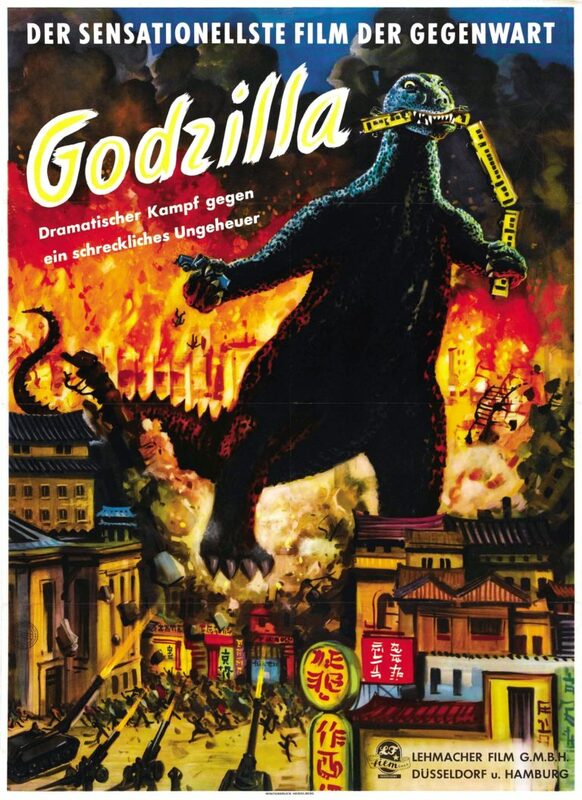 Technically, Gojira was not released in the United States until 2004 (though it did see limited release in Japanese-American movie houses, sometimes with English subtitles). 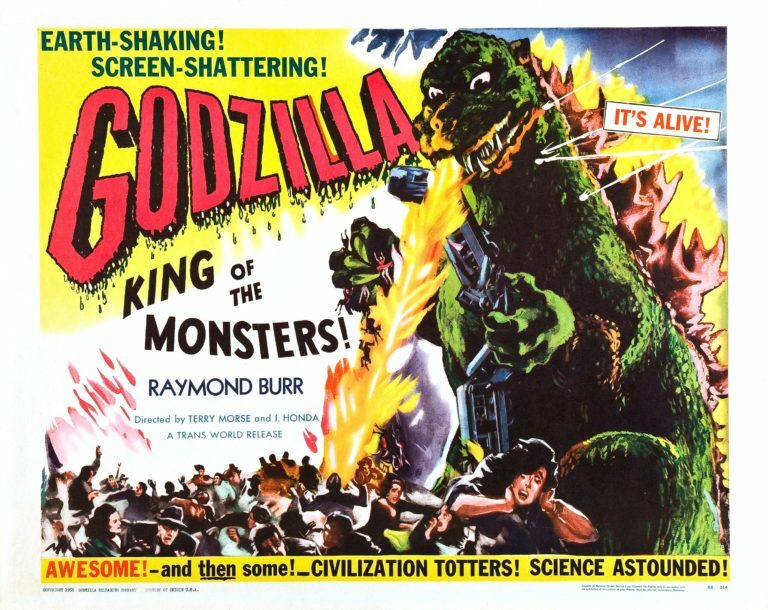 The film we know in America is called Godzilla: King of the Monsters. It’s not the same movie. When the rights were acquired by Jewell Enterprises, they added the Raymond Burr scenes and narration to make the whole thing more palatable to sensitive American audiences. Much of the anti-nuke sentiment was cut as well, and there is less focus on the love triangle (and arranged marriages) than in the original. We do like our social commentary watered down whenever possible. In the Americanized version, Godzilla: King of the Monsters, Burr plays the reporter Steve Martin. His entire role is very much one of a bystander and commentator, and little else. He does get a building dropped on him by Godzilla, so points for that I guess. The American version is certainly watchable and deserves to be a classic in its own right; however, it is a lesser imitation of the original which is by all accounts a superior movie with stronger characterizations and a more substantial plot. In short, the original Japanese Gojira had more to say. The American version, Godzilla: King of the Monsters, didn’t want to hear it. But no matter which version of this film you experience, you cannot miss the iconic music provided by Akira Ifukube. The tune is as at least as unmistakable as the theme from Jaws. Ifukube was a prolific composer of both classical music and film scores. The Godzilla theme is probably not his best work ever–I wouldn’t know. I do know that I love the music in this movie. I can't believe ... that Godzilla was the last ... of its species. Toho (the production company) would release more than two dozen Godzilla sequels. 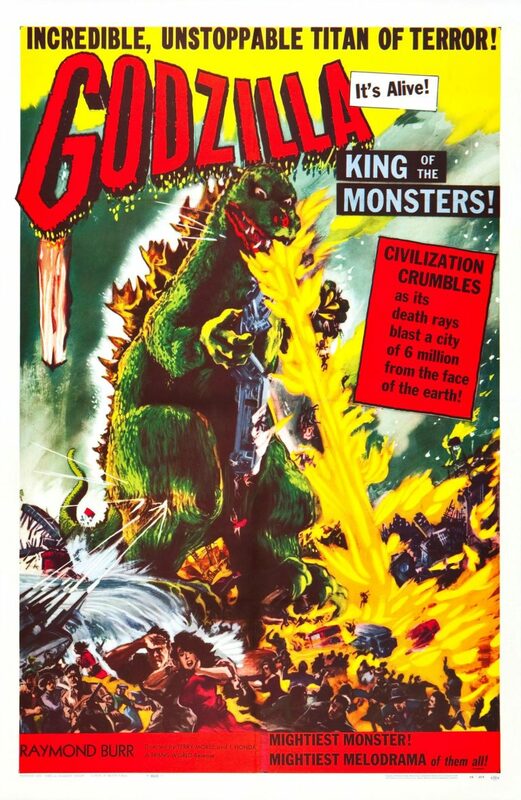 Some of which, like Godzilla: King of the Monsters, would be repurposed for American audience; many, many more would be dubbed into English, appearing first in US theaters then thousands of times more on US television sets. They continue to a constant presence thanks to American cable and satellite programming. 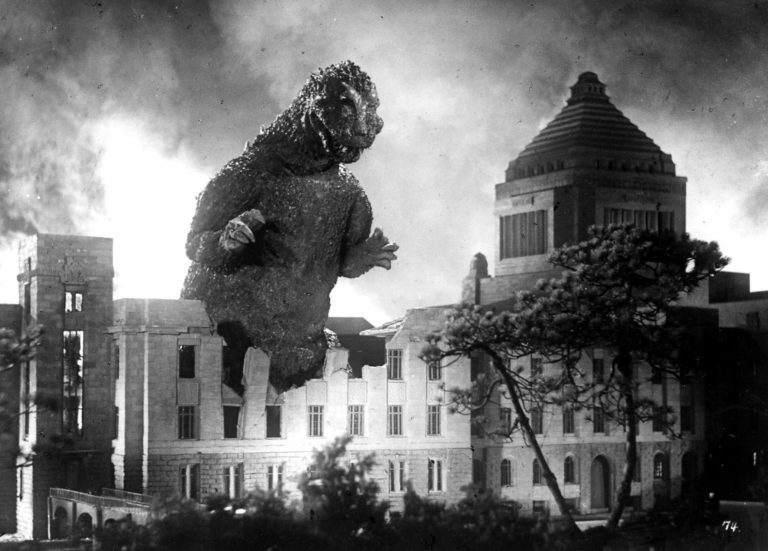 Even for the 50s, the Godzilla suit and miniatures were only mediocre, but no one really cared. The performers, plot, and dialogue are to be expected for the time. A movie that was made half a century ago that still stands up? All good. As good as they were at the time, the effects are still a product of the 50s and it shows. It's still a guy in a rubber lizard suit stomping on toy trains. This is sci-fi kaiju ... the original sci-fi kaiju. 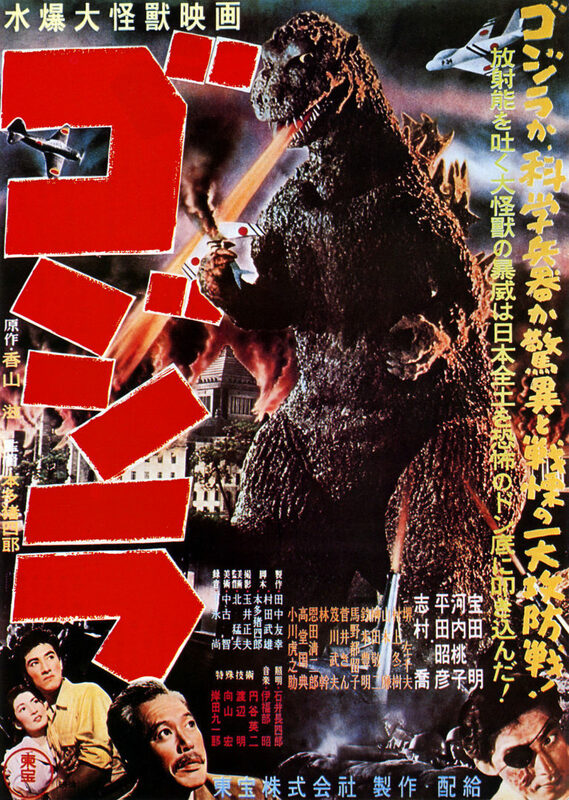 Giant monsters and the destruction of Tokyo, landing it squarely into cult territory. Japanese version with subtitles, US version with dubbed dialogue and random Burr-bage.